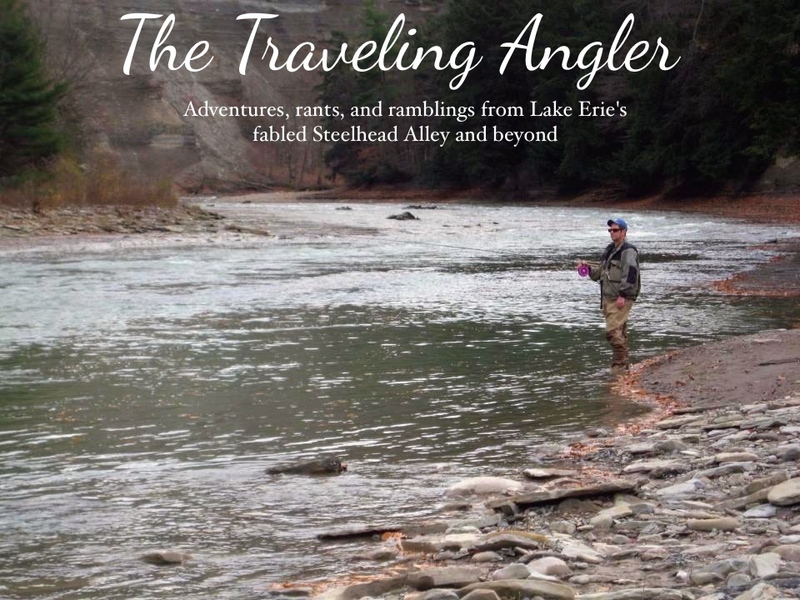 Traveling Angler: Too Little , Too Late? There was an article in Sunday’s Plain Dealer a couple of weeks ago about invasive species entering and altering Lake Erie’s ecosystem. The article detailed the damage these invasive species are having on the lake’s native fish and the economic impact to the environment and recreational fishing. It also looked into what the federal and state governments are doing to stop further damage from sea faring vessels dumping their ballast water into the Great Lakes. Over the past three decades, 183 strange and exotic creatures have been released into the Great Lakes from the ballast of ocean freighters arriving from around the world, according to the Great Lakes Fishery Commission. In the 50s and 60s, it was the lamprey scourge that wiped out the vast schools of lake trout and whitefish. In the 80s, the ruffe, spiny water flea and zebra mussels started their assault. In 90s, the round goby arrived. Last year, viral hemorrhagic septicemia (VHS), killed large numbers of Lake Erie sheepshead and other game fish. Now the Asian carp is poised to eventually enter the Great Lakes. It’s just a question of when will they make their way in. With their large size, voracious appetites and prolific breeding, they could be the final knockout blow for the Great Lakes sports fishing industry. During a 25 year period, Lake Erie’s ecosystem has taken a beating. Erie is the most fertile of the Great Lakes and has more species of fish then all of the lakes combined. The biggest culprit has been the zebra and quagga mussels. As efficient filter feeders, they have cleared the once murky waters. The mussels have robbed much of the lake’s phytoplankton. The end result has been poor hatches of walleye and perch. The young fry often rely on the plankton for a food source. Now the zebra mussels are being taken over by the larger quagga mussels. 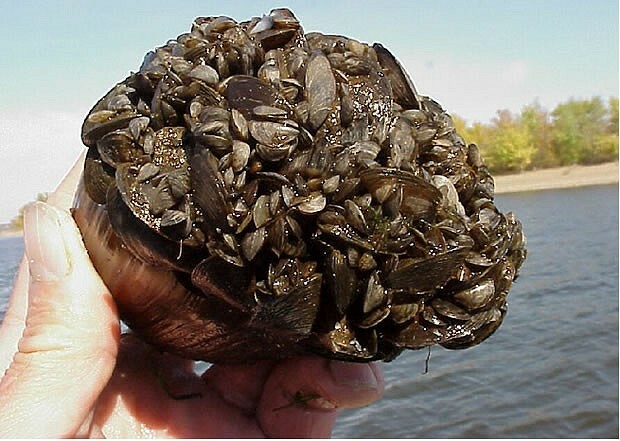 Like the zebra mussel, they too are efficient filter feeders and their waste spews large amounts of phosphate. Over the past several summers, there has been a large dead zone found in the central basin of the lake. This is due to the quagga mussels and biologists are helpless to stop it. Then came along the round goby from the Baltic region of Europe. This troublesome little fish has been especially detrimental to smallmouth bass, with hordes of the small bottom-feeding fish feasting on bass eggs during the spawning season. Studies have shown gobies ganging up on a bass nest, taking turns darting to the nest to eat eggs. Tournament fisherman that frequent the lake can't help but notice the decline in the smallmouth bass population. More and more anglers are starting to see smaller number of fish being caught. Also disturbing are the lack of young bass being caught. Just last spring there were reports of many dead and dying sheepshead washing up on the beaches around the Cleveland area. Many of these fishes had large red spots throughout their bodies. At first many biologists were puzzled at the large number of dead fish. Then they found out it was a virus. The virus was identified as viral hemorrhagic septicemia (VHS) and it had originated from Europe. The virus also killed large numbers of perch. As for steelhead, I didn't notice any fish afflicted with the virus and the number of fish caught hadn't decreased from the previous year. Because of VHS, fish cannot be transported over state lines. The end result is many bait shops cannot get bait fish from neighboring states. The one bait shop I frequent for the large emerald shiners can no longer get them and those shiners come from the Niagara River. Today, the bait shop must rely on shiners caught from locals. Where did all of these invasive species came from? They stowed away in the ballast tanks of ocean freighters. Ballast water is a necessity. Held in tanks below the decks of big ocean-going ships, it provides stability and helps maneuverability. When ballast water is pumped into the ships at foreign ports, the organisms from that part of the world become part of the ballast package. As ships are loaded at U.S. ports, they discharge the ballast water. To prevent those organisms from entering the lakes, the ships are supposed to exchange the freshwater ballast with salt water before leaving the ocean. Unfortunately, a large percentage doesn't bother with it so they can save time, money and maintain the stability of their ships. But even flushing the tanks with salt water does guarantee the removal of the organisms. Coast Guard figures show that at least 30 percent of ocean ships have been allowed to enter the Great Lakes without their ballast being checked. The ship captains simply declare there is no ballast on board, which is called the NOBOB rule. The U.S. Coast Guard, the federal agency designated to deal with ballast, does not check those ships. The EPA says only the Coast Guard can enforce ballast laws, and the Coast Guard was told to upgrade its enforcement of ballast water in 2002. But after 9/11, the Coast Guard has had to pick up the increased homeland-security responsibilities. This makes it even more difficult to check ships arriving in the United States. Researchers around the world have tried a wide range of tactics to cleanse ballast, or deprive it of oxygen so it won't support life. The shipping industry has spent millions, and so have public and private researchers. A collaboration of Nebraska biologists and educators called ESCAPE keeps a running tally of invasive-species damage caused around the Great Lakes. The total for 2007 hit $67 billion this week. The federal and state governments need to draft legislation with teeth to stop the invasion. Unfortunately there isn't enough political will to help the Great Lakes. I've often wonder what will the Great Lakes be like in 50 years. Will the Asian carp be the dominant fish? Will I reminisce about the glory days fishing for walleye, perch and steelhead? As of today, the future looks bleak for the Great Lakes.